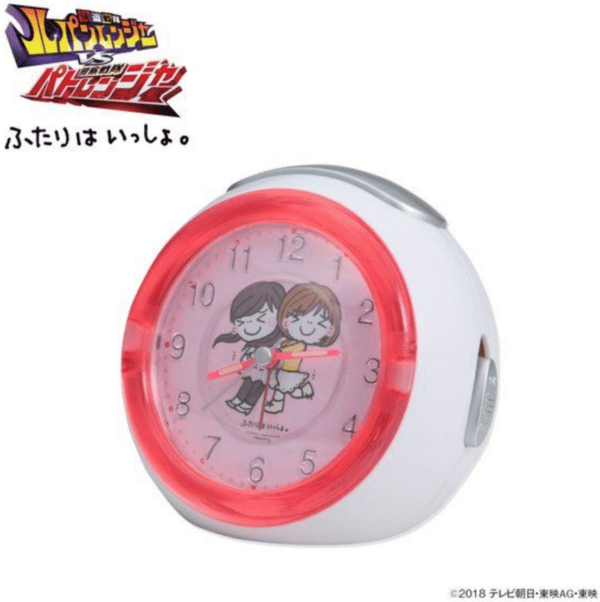 Premium Bandai announced their next item in the Kaitou Sentai Lupinranger VS Keisatsu Sentai Patranger line, an Umika and Tsukasa “The Two Together” Voice Clock. 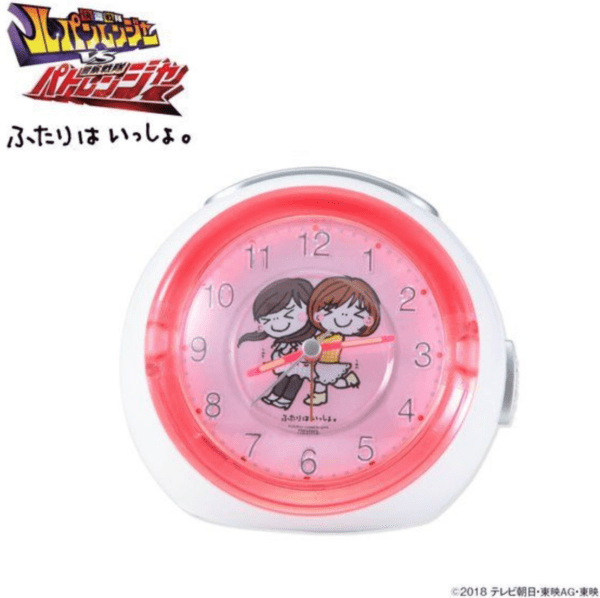 The Umika and Tsukasa “The Two Together” Voice Clock from Kaitou Sentai Lupinranger VS Keisatsu Sentai Patranger feature the voices of Umika Hayami (Lupin Yellow of the Lupinrangers) and Tsukasa Myoujin (Patren-3gou of the Patrangers). The chibi character art featured on the clock are by Umakake Keikiko. 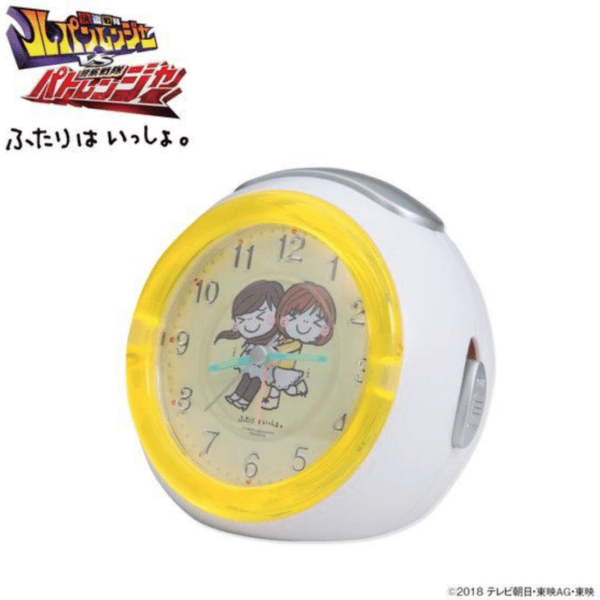 This voice clock is an alarm clock with audio featuring voice recordings of Haruka Kudo (Umika Hayami/ Lupin Yellow) and Kazusa Okuyama (Tsukasa Myoujin/ Patren-3gou). There are 14 kinds of recorded sounds and the clock functions as a normal alarm clock. 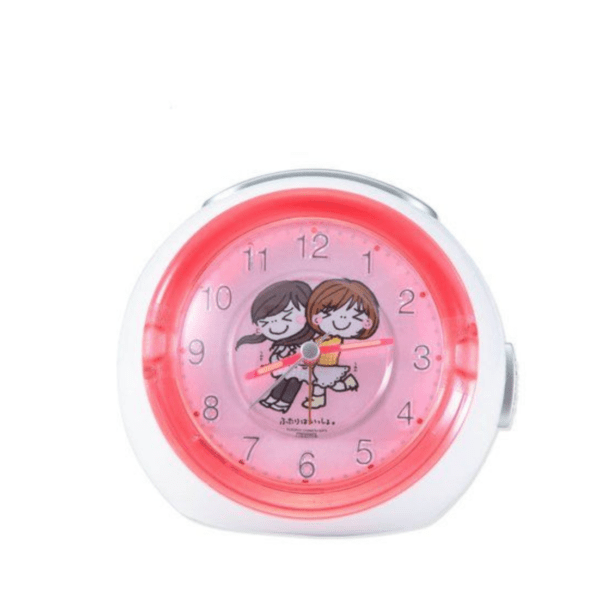 The Umika and Tsukasa “The Two Together” Voice Clock comes in either yellow or pink and requires 3 AAA batteries (not included). The Umika and Tsukasa “The Two Together” Voice Clock from Kaitou Sentai Lupinranger VS Keisatsu Sentai Patranger goes for ¥5,400 (tax included) and is scheduled for shipment in January 2019.